Looking for a fast, reliable black & white printer copier? 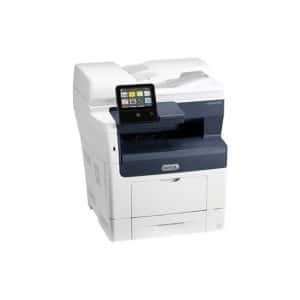 The Xerox Versalink B405 could be just what you’re looking for! It’s fast, it prints well, and it’s loaded with features and expansion options. The Xerox B405, is a terrific solution as a mid range to high volume monochrome single function laser printer for small to medium size workgroups and offices. Xerox rates the B405 monthly maximum duty cycle at 110,000 pages, with a recommended monthly print volume of 12,000 pages. Perfect for small businesses. Like others in its category, the Xerox B405 is a high-capacity workhorse. It comes out of the box capable of holding 700 sheets of paper, 550 sheets in the main drawer and 150 sheets in the multipurpose tray. With the standard copier size being just 19.5in width x 19.5in depth x 21.7in height this is perfect for a desktop environment with limited space. Alternatively with the option of adding additional trays and even a stand you can turn this device into a great multifunction copier for your work place.